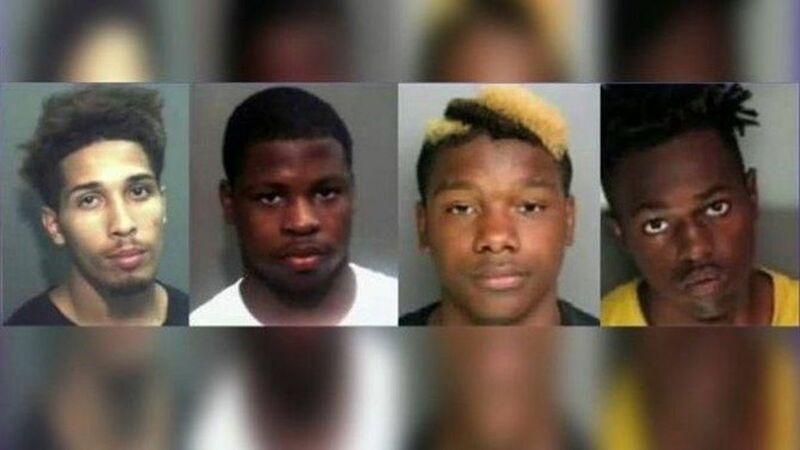 Four Florida high school students were arrested for allegedly carjacking and kidnapping a federal agent who was vacationing with his family in Orlando. 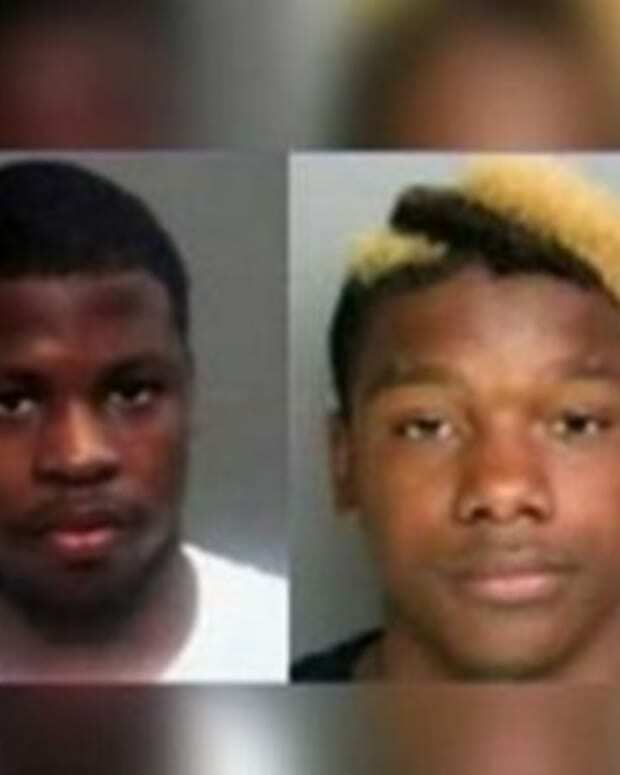 The suspects, ranging from 15 to 19 years old, were taken into custody last week, police say. Armando Alaniz, who works for federal Bureau of Customs and Border Protection, was on vacation with his family in the International Drive tourist corridor when he was confronted at gunpoint Wednesday night while packing up his car, FOX News reported. Alaniz was then pistol-whipped, tied-up and forced into the backseat of his car. He was also robbed of his wallet. RELATED: Her boyfriend told her to go out and get bigger breasts, so she did. Unfortunately, she didn&apos;t think it all the way through. Now she&apos;s paying the price. 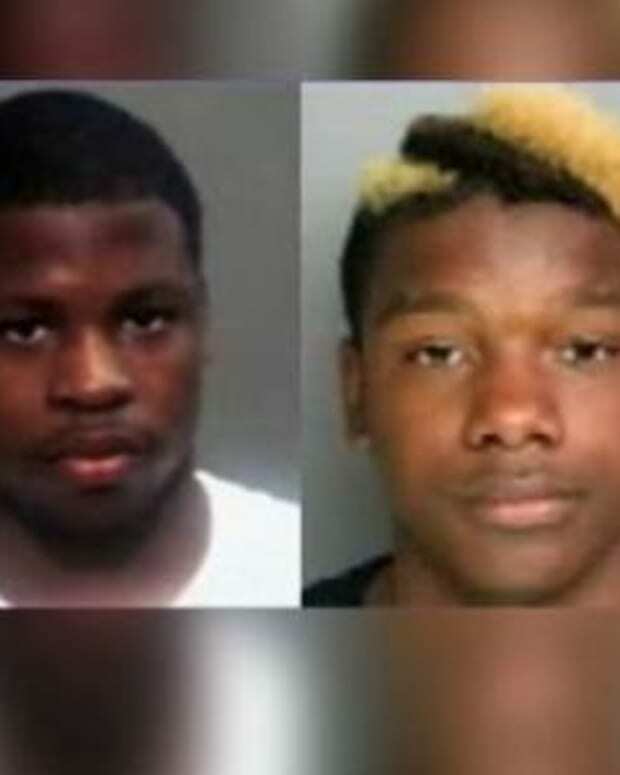 Over the next two hours, the suspects -- Gregory McDonald (who has been identified as 19 by Fox News but 18 by the Orlando Sentinel), Dante Askins, 18, and two other teens, ages 15 and 16 -- allegedly drove around with the abducted agent before his wife contacted the vehicle with OnStar. The suspects then abandoned the SUV at a vacant drug house and fled, according to the Orange County Sheriff’s Office. 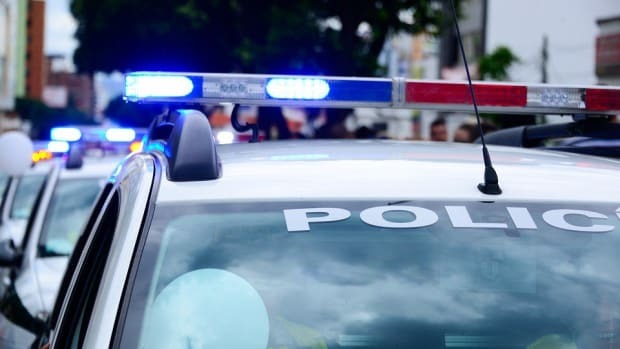 “The OnStar representative placed a call to the vehicle and heard someone screaming for help,” Sheriff Jerry Demings said. Askins, an alleged gang member, was arrested Thursday afternoon. Arrest records show Askins was found driving a stolen car less than a mile from the previous night’s carjacking, Orlando Sentinel reported. The carjacking and kidnapping was Askin’s sixth arrest. The 15-year-old suspect turned himself in at Orange County sheriff’s headquarters Friday morning, accompanied by his parents. 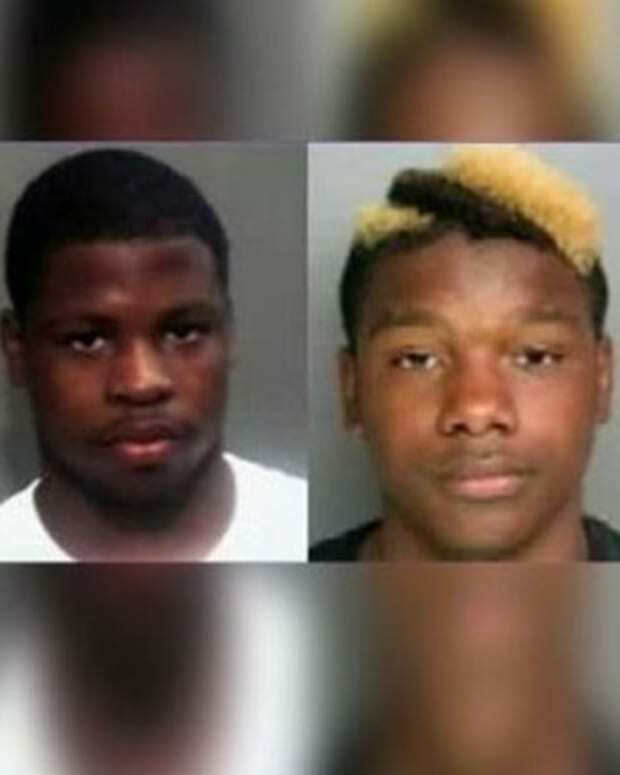 The 16-year-old suspect was arrested just hours later and McDonald was arrested Friday night, according to Demings. All four suspects are charged with armed kidnapping, carjacking with a car, and aggravated battery with a firearm. 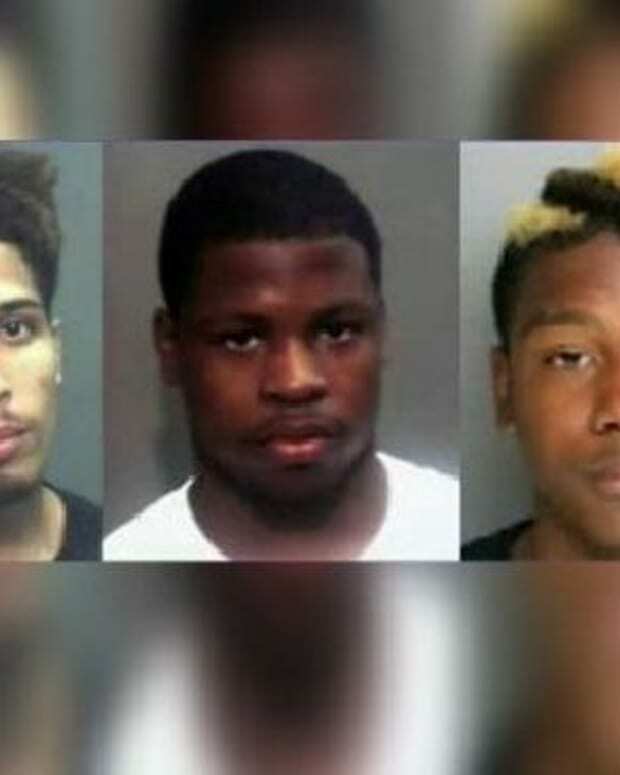 The younger teens are being held at the state Juvenile Detention Center in Orlando while Askins remains held without bail in the Orange County Jail, Orlando Sentinel reported. It is unclear where McDonald is currently being held. 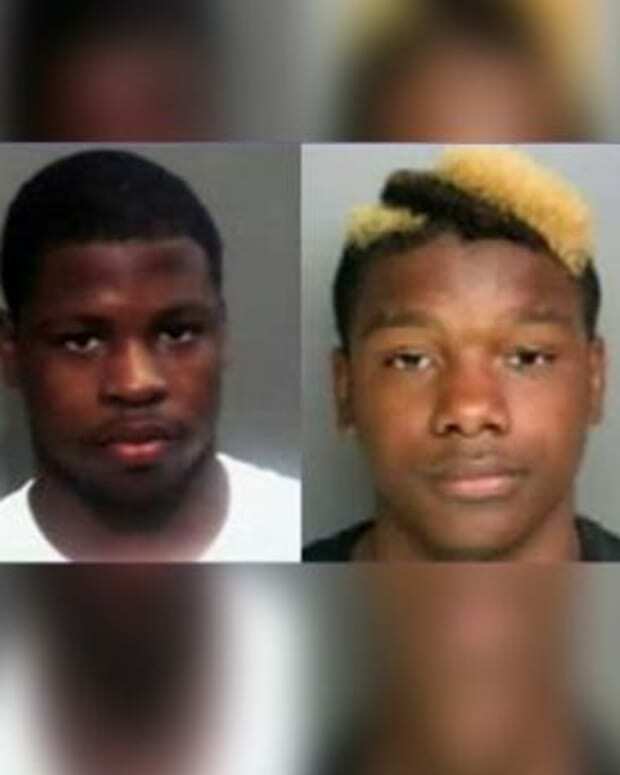 Demings said detectives are trying to determine whether all of the teens belong to gangs. He added that increased patrols will continue in the International Drive tourist distinct. After the four suspects abandoned the vehicle with Alaniz trapped inside, the agent was able to slip out of his bonds. He later received four stitches to close a scalp wound from being pistol-whipped, records show. 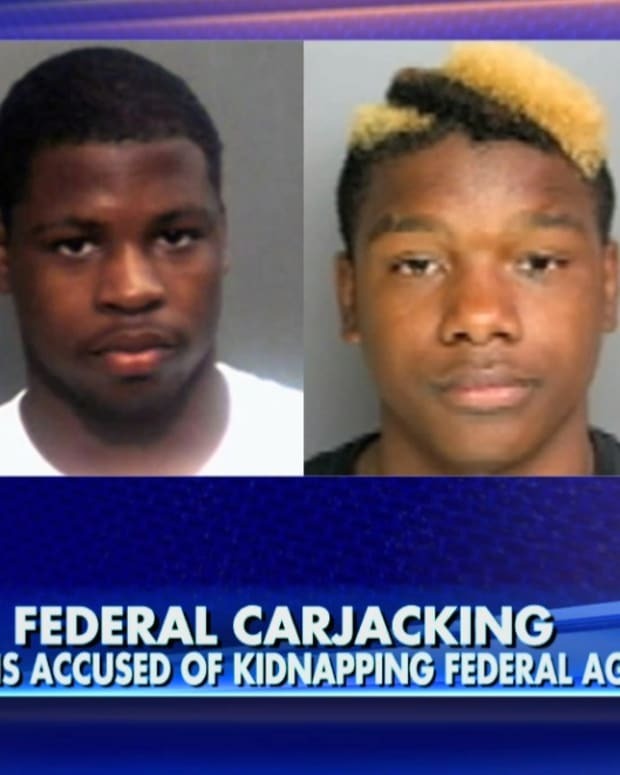 4 High School Kids Carjack And Kidnap Worst Possible 'Victim"